SPECK PRODUCTS CANNOT BE SOLD TO ONLINE RESELLERS. Speck’s best tablet protection yet, dropped from 6 feet multiple times by independent labs to ensure superior protection. The tough polycarbonate outer shell disperses impact while the IMPACTIUM shock barrier’s ridges act as a crush zone to absorb shock. The raised bezel helps protect a device from scratching and shattering if it falls face-down. 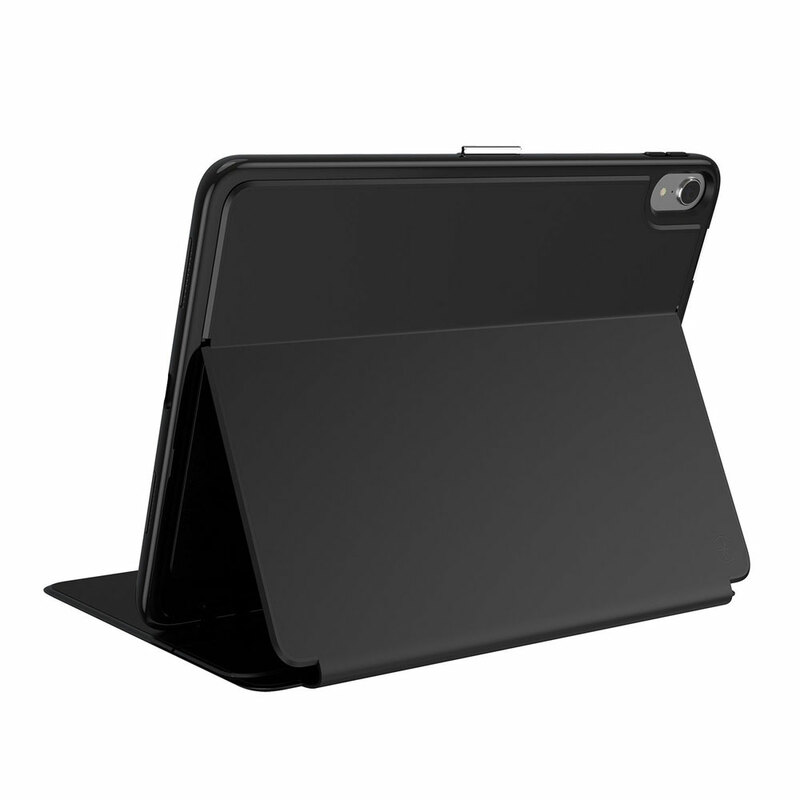 The case turns into a convenient stand for typing or viewing.